Financing Orthodontic Treatment: It’s Easier than You Think! One of the main reasons parents opt for braces for their kids is to correct a severe overbite situation. This is the kind of gift a parent can give their child that will benefit them for the rest of their lives. Of course, as with any major medical procedure, the cost will be an issue for braces. However, braces might be easier to finance than you think. This is especially true if you decide to work with Kapadia Orthodontics. The cost of a treatment plan varies with each individual patient. Not only will the actual office visits have to be factored in, but also the type of braces that are selected. Before the treatment begins, our helpful staff at Kapadia Orthodontics will review all the payment options, which can include interest-free payment plans that allow a patient to pay for the treatment while the treatment is ongoing. The goal is to make your orthodontic plan affordable. Insurance is another option for payment consideration. 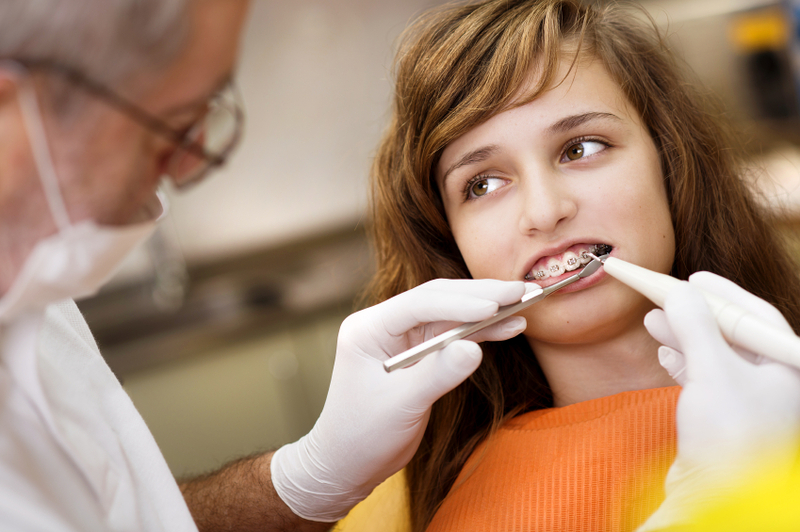 Our orthodontics team is well versed when it comes to the ins and outs of dental insurance plans. Not only will we accept payments from most of these plans but we’ll also handle all the filing paperwork needed to complete the claim. Finally, credit cards are also an option and we accept most major credit cards. As mentioned, a severe overbite is one of the main reasons why parents set up braces for their kids. However, there could be less severe issues to deal with. Issues such as crowded teeth, difficulty biting food, shifting of the jaw, or cross-bites could all be addressed with braces. Thanks to improvements in design and materials, braces for kids aren't as intrusive as they once were. For instance, clear braces made with ceramics can get the job done and are less visible than traditional metal braces. That can certainly make a teen feel more confident about wearing braces for a temporary amount of time. Of course, braces aren't just limited to helping kids straighten out a severe overbite or crowded tooth line. Many adults are using braces to help improve their smiles, too. In fact, according to the American Association of Orthodontics, one in five patients for braces are adults over the age of twenty-one. A very popular option for adults is Invisalign, which is more like dental trays that are custom-made to fit your mouth. Although they are most effective when worn up to twenty-two hours in a day, they can easily be removed before meals. They are also less challenging to keep clean than traditional braces. A great way to see how braces can impact a severe overbite and other orthodontic problems is to see teeth before and after braces. There’s an entire section of our Kapadia Orthodontics website that is dedicated to these types of pictures and it’s a great source for you to imagine what your new smile might look like. When you're ready to discuss your orthodontic needs, contact us today to set up a free consultation.